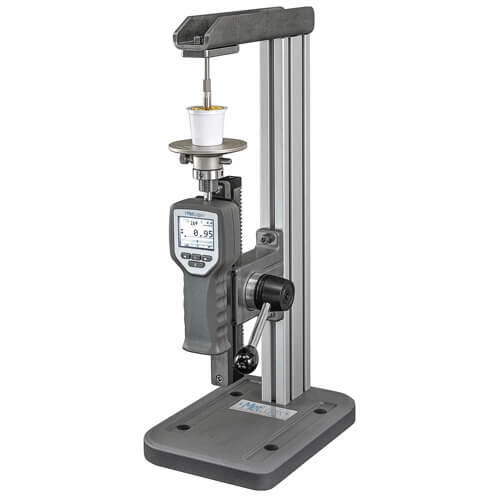 With the DFG force gauge, accurate tensile and compression force measurements can be carried out. 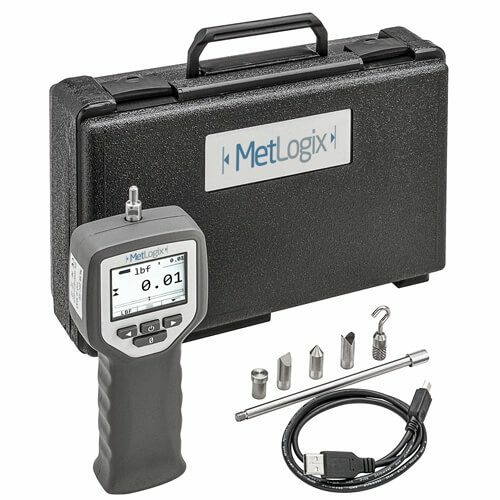 The instrument can be used both as a hand-held device and on a manual force test stand. The easy to read OLED display offers an optimal overview. If, for example, the main display is set to peak compression, the secondary display also shows the current force. The result is stored at the push of a button. From up to 50 results, the statistics function displays the minimum, maximum, average, span and standard deviation. For the DFG force gauge an adapter set for clamping tools (grips) is available. In addition to the supplied accessories, a large selection of suitable fixtures can be selected.